"Twelve-year-old Matthew is trapped in his bedroom by crippling OCD, spending most of his time staring out of a window watching the inhabitants of Chestnut Close go about their business. Until the day a toddler staying next door goes missing and Matthew finds himself at the centre of the mystery. 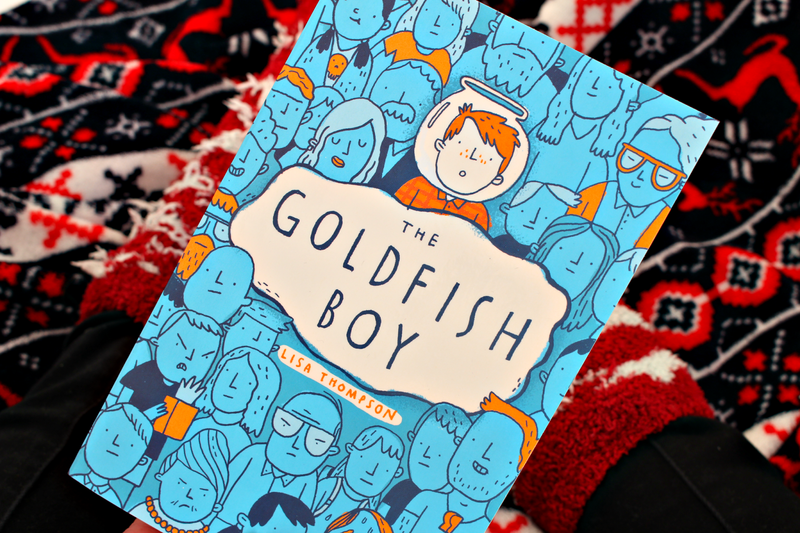 Every one of his neighbours is a suspect, so Matthew must turn detective to unravel the disappearance of Teddy, whilst facing his fears along the way- with the help of a brilliant cast of characters"
I don't think I've ever been able to relate to a fictional character as much as I could to Matthew, in The Goldfish Boy. It was like reading my own battle with OCD expect without the missing next door neighbour's grandson. Before I even get into the review of the book properly, I want you guys to pre-order this book. Whether you suffer from OCD, mental health problems or not. It's one of the best portrayals of OCD I have ever read, and it needs to be read by everyone. 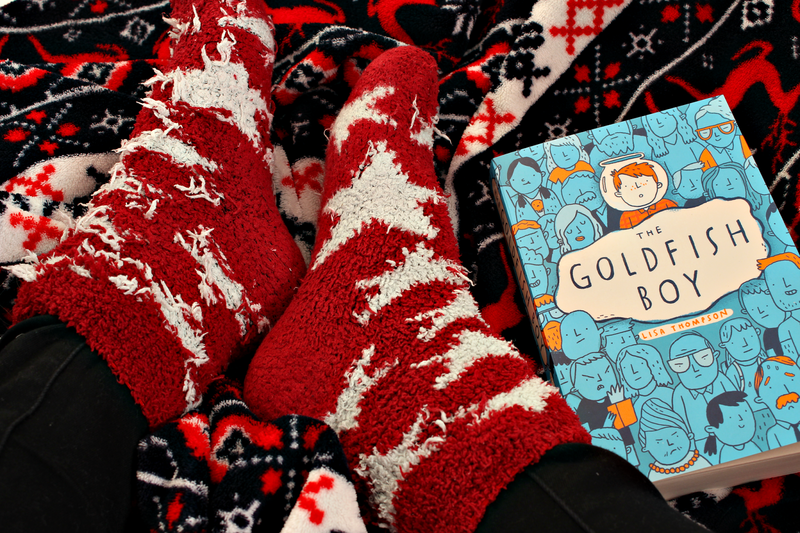 Without giving any spoilers, the main character of the book is a 12-year-old boy called Matthew, who suffers from crippling OCD, which makes him practically housebound. One day his next door neighbour's grandson, who he watches from his bedroom window, goes missing. The investigation to solve the mystery of where he's gone commences. Not only do you follow Matthew's journey of finding out what's happened to his neighbour's grandson. You also follow his personal journey and battle against OCD. You get a very clear insight into the physical and emotional distress that OCD can cause their sufferers. You start to understand what it really means to have OCD and the true distressing and debilitating nature of the intrusive thoughts. When I was first asked if I wanted to read this book and review it on my blog if I enjoyed, I was a little bit sceptical because it's labelled as being a children's book. Now, unfortunately, I'm definitely not a child anymore *Sad face*. But I was pleasantly surprised when I was reading. This book can easily be enjoyed by children and adults, sufferers and non-sufferers alike. So don't let the fact it's a fictional children's book put you off. I was mostly worried that because it was a children's book, it wouldn't tackle OCD amazingly well. It wouldn't portray OCD in an accurate way that could help educate non-sufferers what it means to suffer from the illness. But by God was I proved wrong!?! Lisa did an excellent job of describing OCD in a way that truly shows the torment and struggles sufferers go through on a daily basis. Although, Matthews compulsions and intrusive thoughts do mainly focus on contamination, which can be seen as the most stereotypical form of OCD. It's evident in this book the amount of research and effort that went into understanding OCD to ensure this book was not contributing to the existing stigma and discrimination that surrounds mental health and OCD, in particular. If you have read my blog for a while, you know that I suffer from OCD. You may also know about some of my compulsions. My own compulsions and intrusive thoughts are so similar to Matthews, it was honestly so helpful and refreshing to read, as a sufferer from OCD. It made me feel less alone, less scared and anxious about what the future has to hold and recovery in particular. Although Matthew was only a fictional character, in my mind he was so real. Every time I put the book down, I couldn't wait to start reading it again, to see what progress Matthew was making. Obviously, I'm a mental health blogger which means that I'm going to focus on the mental health side of things, but the actual story line was incredibly impressive as well. OCD and mental health, although prominent themes in the book were weaved in really nicely between the mystery that surrounded the missing boy. It genuinely had me hooked right to the end. Lisa did a fantastic job in not giving anything away to soon, whether if that was about the potential suspects for the missing boy or more personal issues around Mathews OCD, such as how he ended up in being so caught in the mercy of OCD. Matthew is such a heartwarming character. I loved how we got a real insight into how OCD affects every single aspect of his life including this friendships and relationships with other children his age as well as his parents. You really get to know Matthew in the story, and I know this may sound pretty lame, but when I finished the book I wanted to know how his recovery was going. Which kind of just shows how good Lisa is at developing exceptionally relatable characters. Because of the way in which OCD is so perfectly portrayed and represented in this book, I honestly think it's a must for all non-sufferers to read. It can be daunting trying to understand mental illness. However, through the aid of reading fantastically written fictional books like The GoldFish Boy, that daunting prospect of trying to get your head around a mental illness, can be made significantly easier. This is Lisa's first debut novel, and I'm beyond impressed. If this is what her first book is like, I'm already excited to read any of her future releases. If you haven't gathered already, I can't sing this book enough praise, I honestly can't. 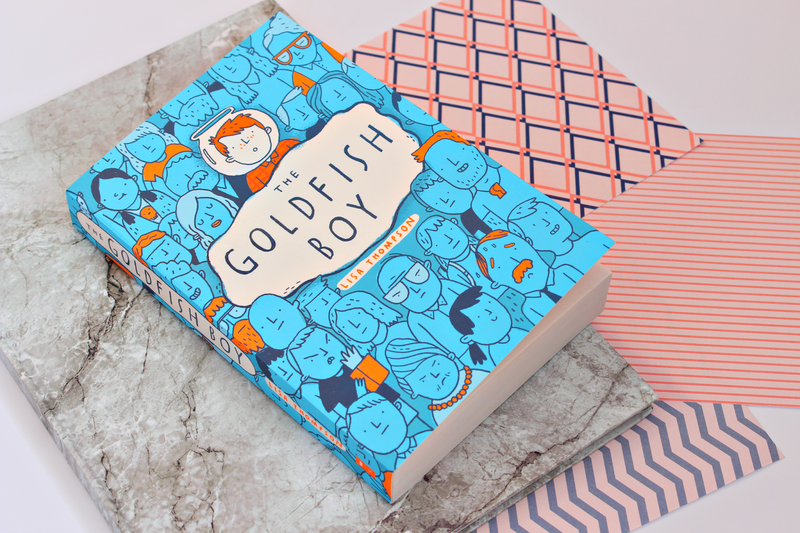 I hope I have encouraged you all to go out and pre-order The GoldFish Boy or buy it when it comes out on 5th January 2017. If you are going to be getting your hands on this book, I would love to know in the comments below. Ooh, now this sounds interesting! The story line reminds me of The Curious Incident of the Dog in the Nighttime (which is also really superb) I think it's so important to accurately portray the thoughts and feelings and it sounds like this book did just that as well as a gripping story line. This would totally be a cover purchase for me but it honestly sounds like such a compelling read and it's fantastic to hear it works on a deeper level. You review certainly makes me want to discover this book for myself - especially your reassurance that it's not only a children's book and can be read by an adult me. I'm a fellow mental health blogger - my illness relates mostly to cPTSD, social & other phobias, and my OCD isn't too bad. However, someone close to me suffers from an acute form of it and I think it'd be good for me to learn more about this aspect, although this person is partially in denial and doesn't tend to accept help regarding this illness. Ooh I might have to get this book! My only reservation is that it sounds similar to The Curious Incident of the Dog in the nighttime (is that what it's called?!) except the boys have different illnesses... they both witness something and help solve a mystery... idk just sounds verrrryyy similar! I'll give it a go though, I've never read a book with a character who suffers from OCD. I remember reading Sharp objects by Gillian Flynn, which focuses on depression and self-harm, which I didn't twig despite the title, and I found it ssooooo hard to read at some points. It was so real and put into words what I couldn't. One of my favourite quotes comes from that book, I can't remember it exactly but it's something like "people always compare depression to having the blues. I would have quite liked to wake up to a periwinkle perspective. To me depression is miles and miles of weak washed out piss". This is such a good review, I love reading reviews were people have really take time to comment all kinds of aspects of the book. I'm always interested to read these kind of books, it's so often ignored or done properly. This sounds really intriguing actually and I'll be looking for a copy!